With a stay at Hotel Confort in Cluj-Napoca, you`ll be within a 15-minute walk of National Theatre and Palace of Justice. 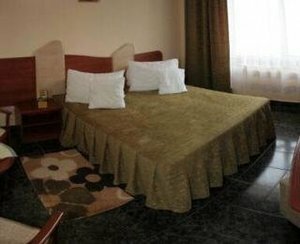 This hotel is 0.9 mi (1.4 km) from Dormition of the Theotokos Cathedral and 0.9 mi (1.5 km) from Avram Iancu Square. Make yourself at home in one of the 36 air-conditioned rooms featuring minibars. Complimentary wireless Internet access is available to keep you connected. Bathrooms have bathtubs or showers and hair dryers. Conveniences include complimentary newspapers, and housekeeping is provided daily. Satisfy your appetite at the hotel`s coffee shop/café. Buffet breakfasts are available daily from 7:00 AM to 10 AM for a fee.